Here's How The New Tax Plan Could Hurt Graduate Students : NPR Ed The new House tax bill introduced by Republicans outlines a plan to end the tax exemptions for tuition waivers and tax endowments made to colleges and universities. 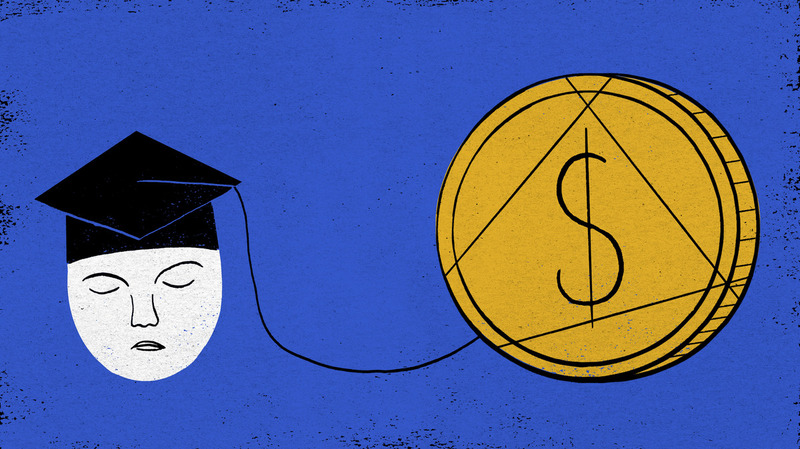 Many grad students — especially in Ph.D. programs — receive tuition waivers in exchange for teaching classes or doing research. Under current law, that money isn't taxed as income. But the new bill calls for those tuition waivers to be counted as income and subjected to income taxes. Kelly Balmes is finishing up a master's degree — on her way to a Ph.D. — in atmosphere and sciences at the University of Washington in Seattle. Balmes, 24, is from Chicago, so her out-of-state tuition is $30,000 a year. It's paid for through grants; money she never sees. The university pays her a yearly stipend of about $30,000 in exchange for her work in research and as a teaching assistant. That's considered minimum wage in Seattle — about $15 an hour. If the tax bill passes, the grant that covers tuition will be viewed as additional income. If the numbers remain the same, Balmes' total income before deductions becomes $61,398 — nearly double what she filed last year. "This makes graduate school unattainable for anybody not already very well off," Balmes says. "It also creates a diversity problem, which graduate STEM programs already have." Student loan interest, tuition reductions and education assistance: If you make less than $80,000 and are paying back your student loans, you will no longer be able to deduct up to $2,500. Also, employers who cover some of their employees' college costs would have that money taxed. College tax credit consolidation: Three tax credits — American opportunity tax credit, lifetime learning credit and Hope scholarship credit — would be consolidated into one credit. This would include a $2,000 credit for families spending money on college tuition, books and supplies. Tax bills for death and disability: The House plan would put an end to forgiving student debt because of death or disability. If the House bill passes, Balmes might have to reconsider getting her Ph.D. and stop her education at a master's, she says. "It's upsetting because it wouldn't really be my decision." She hopes that the Senate's tax plan will be passed instead because under that one there are no changes to tax credits or tuition waivers. "Any provision that would make higher education more costly for students, effectively reducing access, will harm American families and undermine the mission of higher education and CMU," wrote interim President Farnam Jahanian. "That includes proposals to tax graduate student stipends, eliminate tax deductions for student loans, or reduce incentives for employers to contribute to tuition." "The education we provide undergraduates and graduate students is one of the most powerful engines for their future success and ability to contribute to society."